From left to right: Lila, Boyd, and Drew. The strip focuses on the misadventures of lead character Lila, a twentysomething woman. Her interests consist of fashion (especially shoes), gossiping, and her biggest goal in life, finding a wealthy husband to marry so she’ll never have to work again. (Lila’s job consists of working at a call center.) Despite this, Lila does have friends with more constructive interests (or try to encourage her to better herself). The strip is set in Cleveland. This garners the occasional disparaging comment by the characters about having to live there in wintertime (or in general). 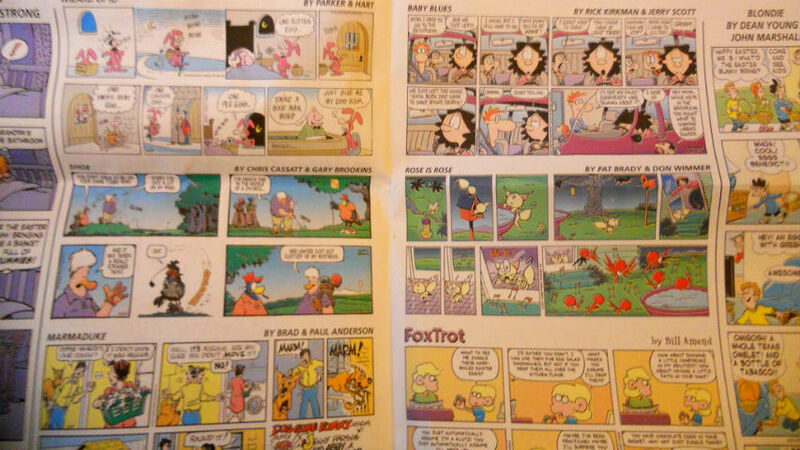 The strip began its run in 2003, and ran until 2012. Boyd: Lila’s best male friend. Boyd’s gay, single, and has been Lila’s friend for years. He also occasionally serves as a voice of reason for Lila. Boyd works alongside Lila at the call center. Drew: Lila’s other close friend, despite Drew being the opposite of Lila—more self-sufficient, harder working (she’s now Lila’s supervisor at the call center), and with more cerebral interests than Lila or Boyd. Annie: Lila’s adopted daughter. Annie sees Dr. Fine (see below) for treatments for leukemia. She’s also one of the smartest characters in the strip; her intellect once attracting the interest of a school in Spain wishing to study her genius. Among her flaws, Annie’s been known to engage in gambling (despite the others’ attempts to prevent such). Alan: Dr. Fine’s partner. Also middle-aged, Alan is a bit less reserved than Dr. Fine, and shares Lila’s shopping interests (though unlike Lila, who orders from restaurants every night, Alan can actually cook). Dr. Fine and Alan were originally planning to adopt Annie, but saw Annie and Lila had developed a closer bond, and allowed Lila to adopt Annie instead. However, the couple also help out in raising Annie (as does Boyd as a babysitter). 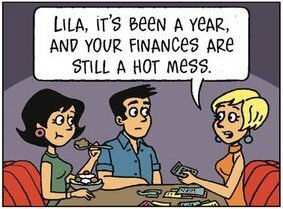 Other characters appear occasionally in the strip, including Lila’s high-strung, hyper-critical mother (unseen, but often heard on the phone berating Lila or worrying about her not being married), Lila’s church’s minister, and so forth. Thanks, Anthony, for mentioning LILA and the great summary. I really appreciate it!